With the new season fast approaching, it’s probably worth just taking a quick look back at last season. With no official end of season awards this year, it was left to users of the unofficial fans forum to to come up with their own awards. Whilst these awards were unofficial and mainly just for fun, it has been suggested that the Supporters Club organise a small award for the players, so that fans can show their appreciation for the players’ efforts. So we (or more specifically Len) has come up with the design above which we hope to get made up on wooden plaques and present to the winning players in due course. So it’s congratulations to Lee, Luc, Steffan and Dai and whilst these are just unofficial awards this season, we will hopefully develop things in to more recognised awards in future years. 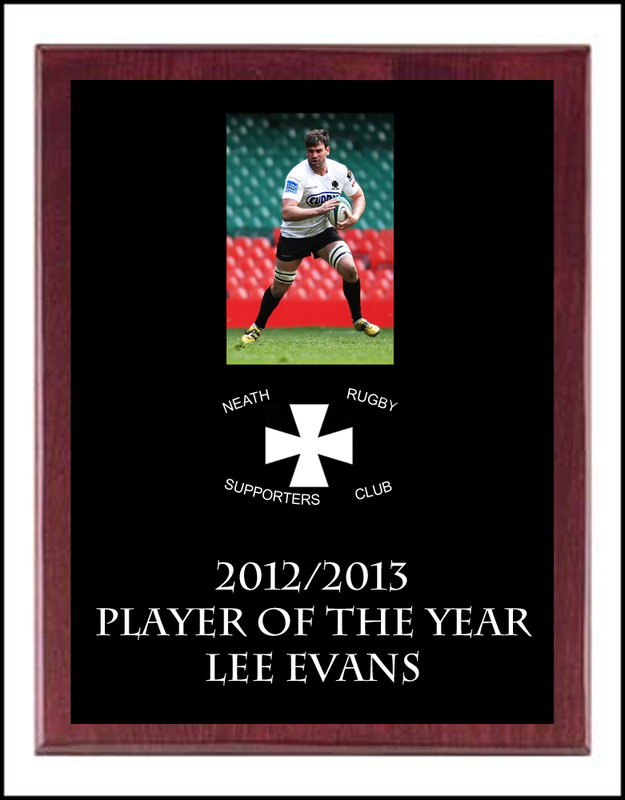 This entry was posted in News and tagged Award, Dai Langdon, Lee Evans, Luc Jones, Neath, Rugby, Steffan Jones, Supporters. Bookmark the permalink.